While there is a “traditionalist” school that maintains that the crusades to the Holy Land were the only real crusades, the currently prevailing “pluralist” view is that crusading encompassed any Church-authorized “penitential war” fought against enemies of the Church or Christendom. This includes wars fought on papal authority against Muslims in Iberia, pagans along the Baltic coast, and schismatics, heretics and other enemies of the Church within Latin Christendom. In my next three columns, I am going to sketch a very brief history of the so-called “Northern Crusades” – that is, the crusades undertaken by the Christian kings of Denmark, Poland and Sweden, the various German military orders, and their allies against the pagan peoples of the southern and eastern shores of the Baltic Sea. Unlike the crusades in the Holy Land and Iberia, which were understood to be elements of the Church’s eschatological struggle against Islam, the Northern Crusades were “indirect missionary wars” launched by the Church to create the conditions necessary for the subsequent evangelization of the pagan Baltic region. 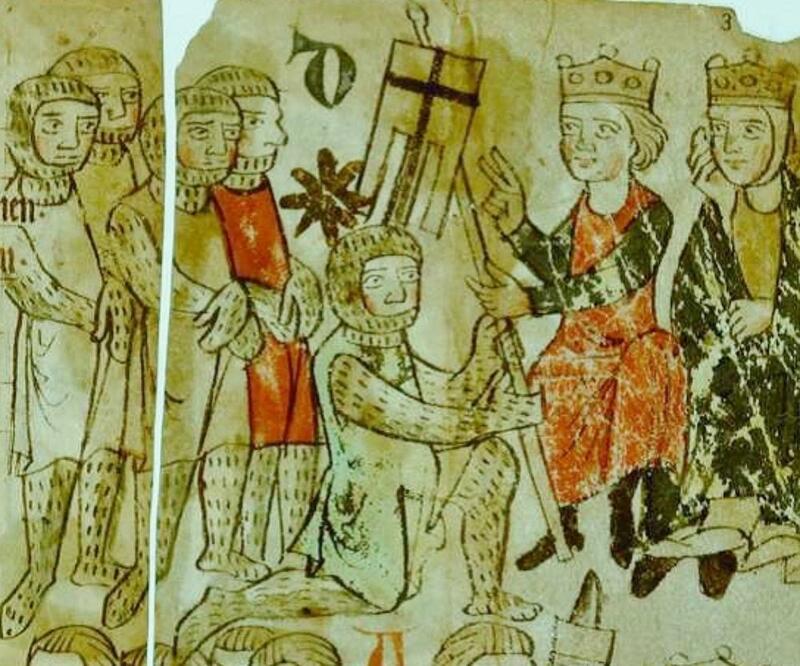 As with their Iberian counterparts, these crusades were part of a broader phenomenon of territorial conquest and colonization – in this case, the medieval German Ostsiedlung or “settlement of the East” – but were not reducible to it. Although in this case there was a dimension of “perpetual crusade” that was not found in Spain, the Northern Crusades were nevertheless discrete campaigns punctuating the three-centuries long process of conquest and colonization that Germanized and Christianized the Baltic region. While authorized by, and fought on behalf of, the Church these wars were prosecuted by Danish, Saxon, and Swedish princes as well as by military orders such as the Sword Brothers and the Teutonic Knights. They were fought primarily against a range of pagan adversaries – Wends, Livonians, Estonians, Lithuanians, Suomi, and Prussians – although some were also waged against Russian Christian schismatics (i.e. adherents to the Orthodox rite). By the early 16th century, these ecclesiastical wars – always only one element of broader process of the expansion of medieval Europe – had contributed significantly to extension of the northeastern frontier of Latin Christendom and the transformation of the Baltic from a pagan mare incognita into a Latin Christian lake. The pre-history of the Northern Crusades can be traced to the so-called Magdeburg Charter of 1107/8 – a document that explicitly called for an expedition to be undertaken against the Baltic pagans. Although there are a number of debates about the provenance and purpose of this document, it is important for the purposes of this study in that it constitutes the earliest known text in which the crusading idea is grafted onto pre-existing ideas about the dangers and opportunities confronting the Church on the northeastern frontier of Latin Christendom – i.e. the earliest translation of the idea of the crusade to the Baltic region. Several themes running through the document are particularly significant. To begin with, it depicts the pagan Slavs in terms similar to the portrayal of Muslims in accounts of the First Crusade – i.e. as “oppressors” guilty of committing grievous “injuries” against the Church and its members. Second, it portrays the pagan lands as “our Jerusalem”, a land of milk and honey lost to the heathen because of sinfulness of the Christians in the region. Third, it calls on the “soldiers of Christ” to liberate this Jerusalem, implying that doing so will create conditions favourable not only for settlement but for evangelization as well. While the charter’s call to arms came to nothing at the time, it expressed ideas that were circulating widely among the clerics in the region and that over time would come to exercise an increasingly powerful grip on the collective imagination of the highest levels of ecclesiastical leadership. The formal introduction of the crusade to northern Europe can be attributed to Pope Eugenius III’s 1147 encyclical Divini dispensatione, which extended the scope of the Second Crusade to include not just the Holy Land, but Iberia and the Wendish (West Slavic) lands adjoining Saxony as well. The explicit objectives of the expedition were to subject the pagans to the Christian faith – a goal that came close to contradicting canon law prohibiting forced conversions. Reflecting many of the themes of the Magdeburg Charter, however, senior Church officials – including, significantly, Pope Eugenius and Bernard of Clairvaux, the chief ideologist of the Second Crusade – almost certainly regarded this expedition as a just war fought primarily to defend Christian missionaries and converts from harassment at the hands of the pagan Wends and to create a political context conducive to the peaceful expansion of Christendom through missionary work. As Hans-Deitrich Kahl has argued, these core eschatological motives were also at least inflected by a powerful belief that the second coming of Christ was imminent (with all that this implied for the prospect of mass conversion). Proceeding hand-in-hand with territorial expansion on the part of the Saxons, the region had seen extensive missionary activity in the preceding decades. Not surprisingly, the Wends had resisted both of these activities, on the one hand mounting military campaigns against the Saxons, on the other destroying missions, martyring missionaries and menacing local converts into apostasy. When the crusade encyclical Quantum praedecessores was proclaimed following the fall of Edessa in 1144, the state of affairs on the Wendish frontier was such that the Saxon nobility responded only half-heartedly to the Church’s call, asking instead to be allowed to campaign against the pagan Wends with whom they were already embroiled in conflict. This was supported by local clergy, who argued that Christians converts – and thus the future of evangelization in the region – could only be made secure if the Wends were brought under Christian rule. Given the centrality of evangelization to the core narrative of the Church – as well, perhaps, as the general enthusiasm generated by the proclamation of the Second Crusade – Eugenius not surprisingly responded positively to this request. He subsequently appointed Bishop Anselm of Havelburg as papal legate, authorized an expedition to subject the Wends to Saxon lordship (thereby creating the conditions within which the permanent evangelization of their territory could take place), and promised those crusading in the North the same indulgence (and many of the same privileges) as had been granted by Urban II to those fighting in the First Crusade. Responding to the papal proclamation, in 1147 a crusader army comprising Saxon, Polish and Danish contingents invaded the Wendish lands. While this army enjoyed some successes on the battlefield, however, it ultimately failed in to achieve its primary goal: the destruction of paganism in the Wends’ territories and their decisive incorporation into Latin Christendom. This prompted the Church to reconsider the whole enterprise of crusading in the Baltic. For several decades after 1147, the papacy demonstrated a considerable lack of enthusiasm for any further crusading in the North and neither local ecclesiastical nor lay authorities petitioned for one. Wars continued to be fought in the region in the aftermath of the Wendish crusade, of course, but “they were fought without benefit of papal authorization, or any of the apparatus of the crusade; there was no vow, no ad hoc legatine commission, no special preaching or promises of crusade privileges”. Indeed, it was not until 1171 that Pope Alexander III (1159-81) issued a new crusading bull for the region (Non parum animus noster), and even then he recast these expeditions as “penitential wars” – similar to crusades to the Holy Land, but offering fewer spiritual rewards, privileges and protections and enjoying a somewhat lower status. The wars against the Wends continued, however, led by men such as Duke Henry the Lion of Saxony (1142-95) and King Valdemar the Great of Denmark (1157-82). As Christiansen puts it, these campaigns were “wars carried on successfully in the shadow of the unsuccessful 1147 crusade”. After decades of brutal conflict, by 1185 the Wends had been effectively pacified, their pagan regime destroyed, and political and ecclesiastical structures more conducive to Christianization erected in their place.